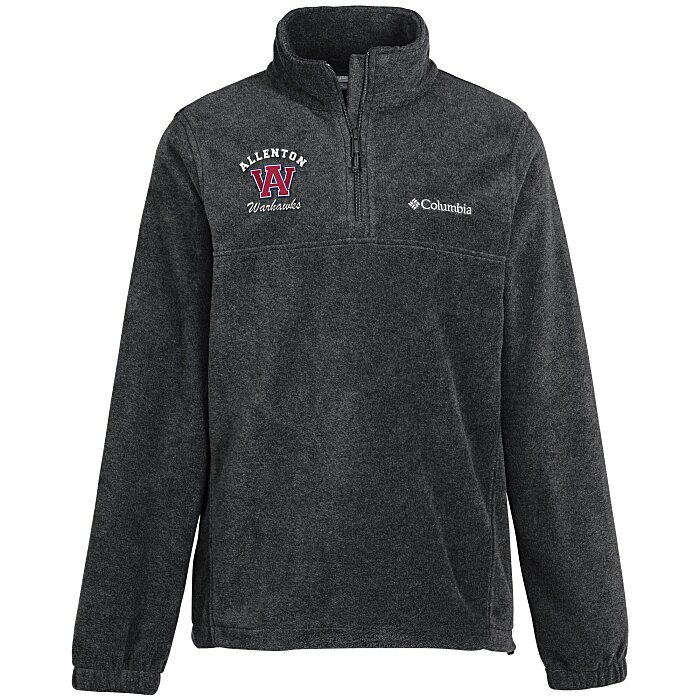 Add your logo to these Columbia® quarter-zip pullovers! 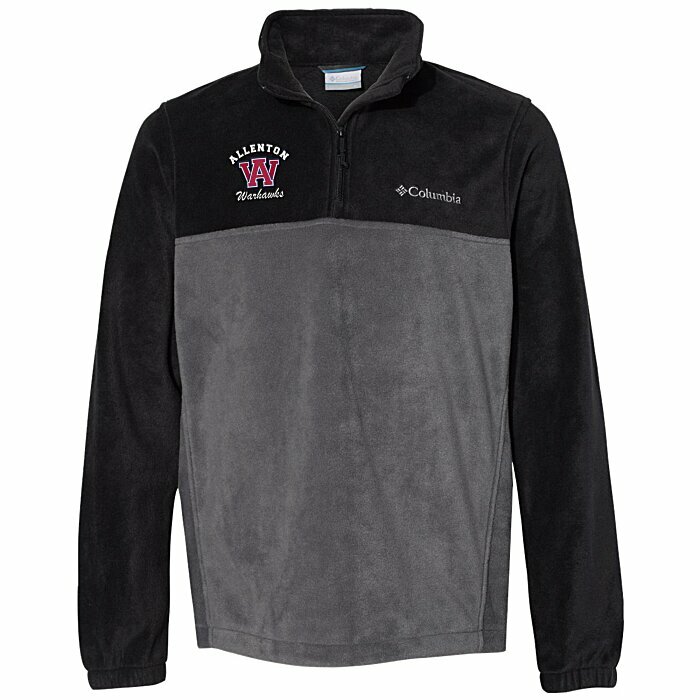 This Columbia® Steens Mountain pullover is made of 7.4-oz, 100% polyester fleece. 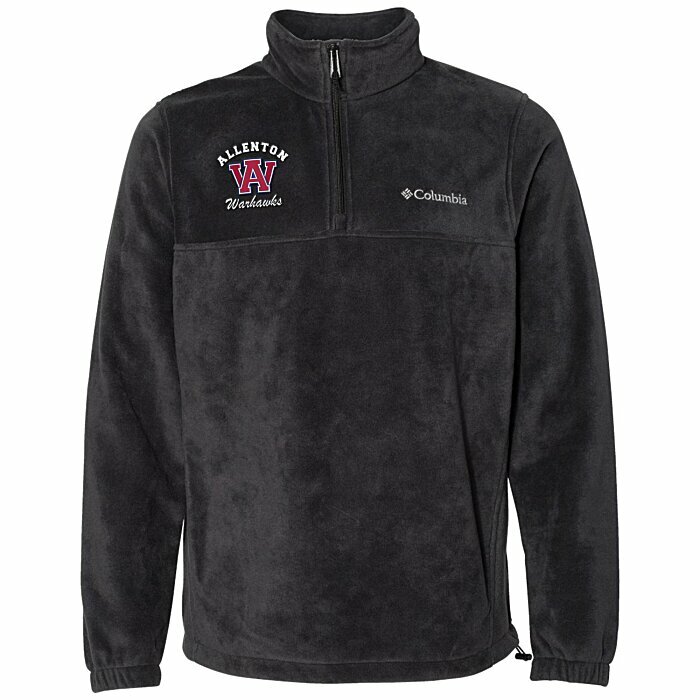 Pill-resistant, lightweight MTR fleece fabric provides maximum thermal retention. The elastic cuffs and open bottom hem provide a comfortable fit. 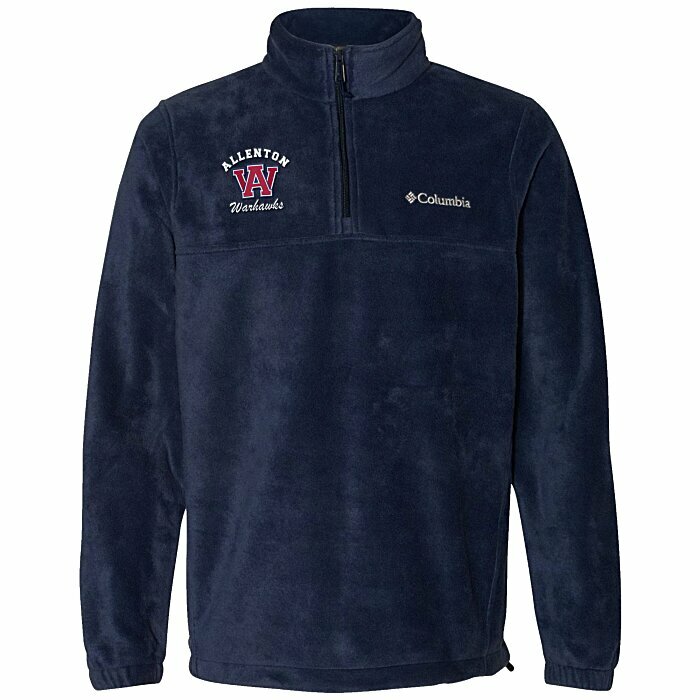 Complete with a 1/4 zip storm placket and a stand-up collar. Features a contrast Columbia® logo on the left chest. Please see the other #similar item search 6404 items for the coordinating jacket styles. Your price includes embroidery on the right chest. One-time tape charge: add $35 on fewer than 24 pieces; FREE on 24 or more!